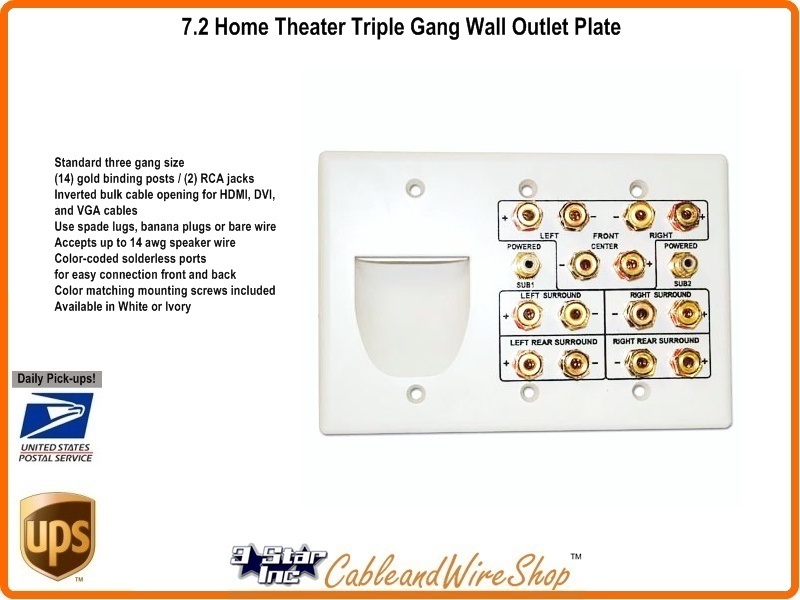 Connect up to 7 channels using gold plated five-way binding posts with this attractive plate. Features an inverted bulk cable opening for multiple HDMI, DVI cables or digital audio cables for easy in-wall cable Management. Use spade lugs, banana plugs, or bare wire to make the connections inside or outside of the wall. Dual female-to-female RCA jacks allow for routing of signal cables to up to 2 subwoofers. Standard 3-gang size fits over J-boxes or low voltage mounting brackets. Connections are labeled for easy setup. Available in Ivory or White.